In 1767 it was announced in Edinburgh that the architect James Craig was to be ‘entitled to the primum for the best plan of a New Town’. This plan became the street and squares which are today bounded by St Andrews Square to the east, Charlotte to the west, and Queen and Princes Street to the north and south. A dozen or more developments followed, utilizing the talents of such architects as Robert Adam and William Playfair, and the results of these are today known collectively as the New Town. 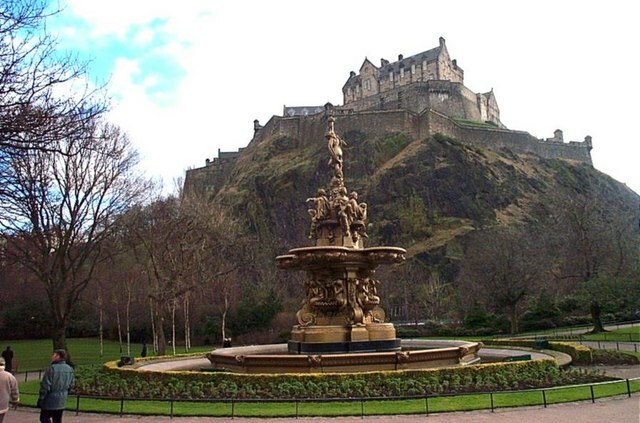 Their only unifying feature, apart from the classical symmetry of their architecture, is the sandstone from Craigleith quarry of which the houses were constructed. This segment was among the last to be completed. It was built in the 1830s and includes Douglas, Eglinton, Glencairn and Grosvenor Crescents – each joined to Palmerston Place – and Melville Street running east from St Mary’s Cathedral (not added for another half century or so). Cleaning operations frequently restore the grey buildings of a certain block or street to the original honey-coloured hue but such is the stone’s absorbency that before long it is blackening again. Never mind – some residents prefer their classicism in sombre grey. Contact us now at Ireland and Scotland Luxury Tours to organise your Scotland tour.